The first answer that should come to mind is: to honor and recognize our military servicemen and servicewomen. We pay them this tribute because of the courage, dedication, and valor displayed throughout their military careers, because of the day-to-day and year-to-year choices they have made to do a job amid unpredictable situations, circumstances, and times. These men and women oftentimes serve at the sacrifice of being separated from their spouses and children. While mothers and fathers may be proud, they too often must say good-bye and entrust their sons and daughters to someone else’s hands. This November, 2017, the National Association of American Veterans, Inc. once again proudly celebrates the men and women of the U.S. Armed Services. Whether active, inactive, or retired soldiers, those living and those who have passed on, we salute you. We thank you for your service and commitment to fight, protect, and care. So to what do we celebrate? Over the past centuries our servicemen and servicewomen have risen early in the morning, marched many miles, fought many battles, and watched over our homeland. We pause and take time to say thanks—with much gratitude for their continued courage, dedication, and valor. 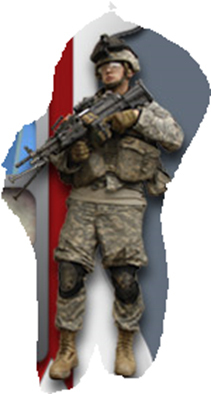 Revolutionary War to the War on Terror: our military, active and inactive, Veterans have been involved. Prophetic bible prophecy (Matthew 24:6): There will be wars and rumors of wars. Remembering the American Revolutionary War (1775–1783). 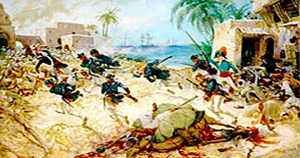 Let there be peace: First Barbary War (1801–1805). Our soldiers . . . U.S./Eyalet of Tripolitania. Semper Fidelis, Marines attack: U.S./Abolitionist (1859) John Brown’s Raid on Harper’s Ferry, West Virginia. Let freedom ring: American Civil War (1861–1865). The Battle of Antietam. Soldiers of opposing sides . . . U.S./Confederate States . . . slavery abolished, reconstruction era begins. Rough Riders and Teddy Roosevelt (1898): Battle of San Juan Hill U.S./Latin American countries and Philippines. Between 1907 and 2017, to name only a few historical facts, events, and milestones made: Here is why we honor and celebrate our Veterans, by paying homage to acts of service beyond what many of us can see, yet shared and felt by others who can understand. Our troops have involved themselves many times above and beyond the call of duty. World War I (1917–1918): U.S. troops/Europe, the end of several empires and the League of Nations established. 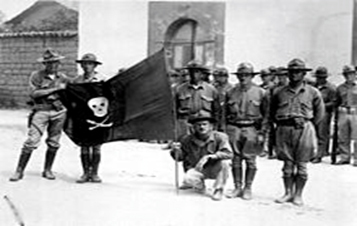 Santo Domingo Affair; Crazy Snake Rebellion (U.S. and Dominican Republic); Border Wars: U.S. 16th Infantry Regiment (1910–1919). U.S., Mexico, and Germany. U.S./Nicaraguan Liberals (1912–1933). U.S. Marines and occupation of Nicaragua (1933–1958). World War II (1941–1945): U.S. Army soldiers recognized during the Battle of Bougainville in 1944; U.S./Europe and Eastern European countries, United Nations created. Vietnam War (1965–1973, 1975) U.S./Asia and Soviet Union, 1st Calvary Division, Battle of Ia Drang. 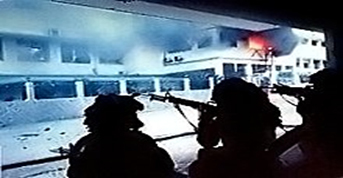 Multinational Forces (1982–1984): U.S. and Europe/Middle East, U.S. Marine barracks bombed. 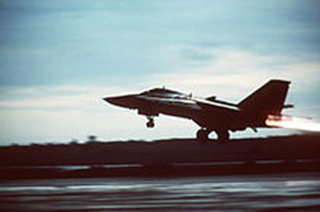 Bombing in Libya (1986): U.S. Air Force. Invasion of Panama (1989–1990): U.S. troops taking over neighborhood. Gulf War (1990–1991): U.S. troops in Abrams tanks, 3rd Armor Division, sanctions imposed against Iraq. 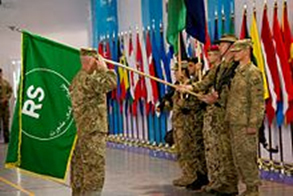 Afghanistan War (2001–2014): U.S. servicemen and servicewomen have not stopped dedicating their lives, sacrificing to leave their families and friends for tours abroad in the War on Terror; the 101st Airborne Division in Kunar Province. Northwest region of Pakistan (2004–present): U.S. airstrikes on insurgents forces, U.S., Great Britain, and Pakistan/Middle East. Many of those we (U.S.) once fought against are no longer fighting us, keeping the faith while still in transition. To you, we do salute! That’s what those who are and were committed to fight, protect, and care for their nation and its people did to deserve our respect, gratitude, and celebration on Veteran’s Day. 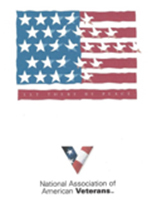 NAAV would like to ask you to pause and acknowledge the Veterans in our midst as well as those in our shadow and join with us as we move forward engaging in the service and support of providing for those men and women through our organization who gave—and who are still giving—so much. God bless you all, and may God continue to bless our United States of America.